up to the top of the river and purchased tubes for $9/each. Is that a deal or what?! Tubes, check. Coolers, check. SPF 70, check. Fun friends, check! Our cooler rode down the river with us in a toddler tube. 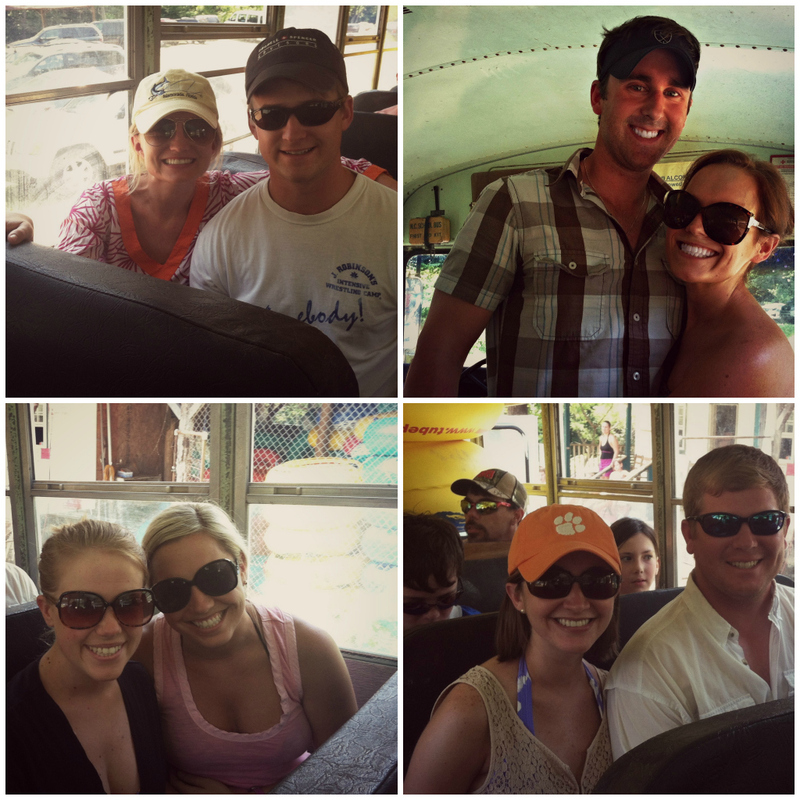 The trip was so fun that a “second annual” is definitely in store for next summer. Next Post I need iPhone help! Okay, first of all you are adorable. Second, I love that you use SPF 70…same here! And third, I'm sort of in love with your sunglasses…where are they from? Ah I am so jealous this looks like SO much fun! Looks like fun! I'm going to have to try one of those Lime-a-Ritas! What a wonderful way to beat the heat!! 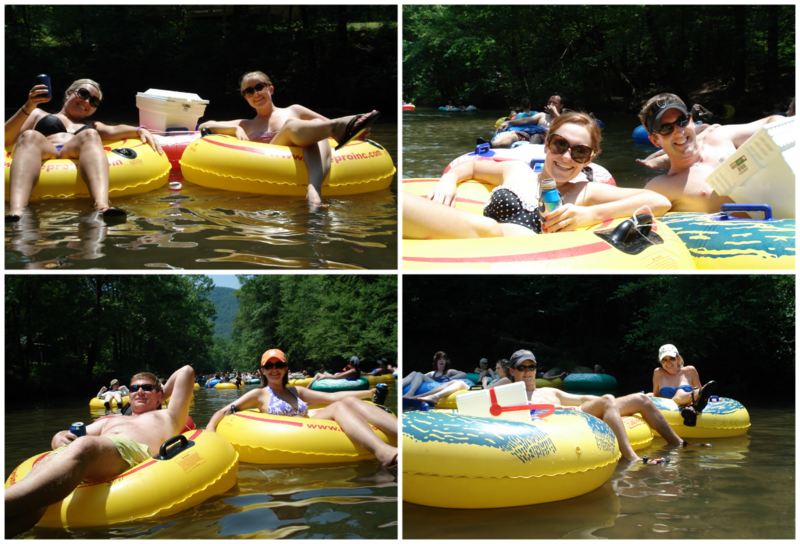 UMMM – we need that double tube with a cooler… then we won't have to pay for tubes!!! SO MUCH FUN!!!! Can we go again this summeR??! Looks like such a fun time!! I think I am going to have to try that Lime-a-Rita too! This looks like so much fun! I'm definitely adding it to my summer "must do" list. 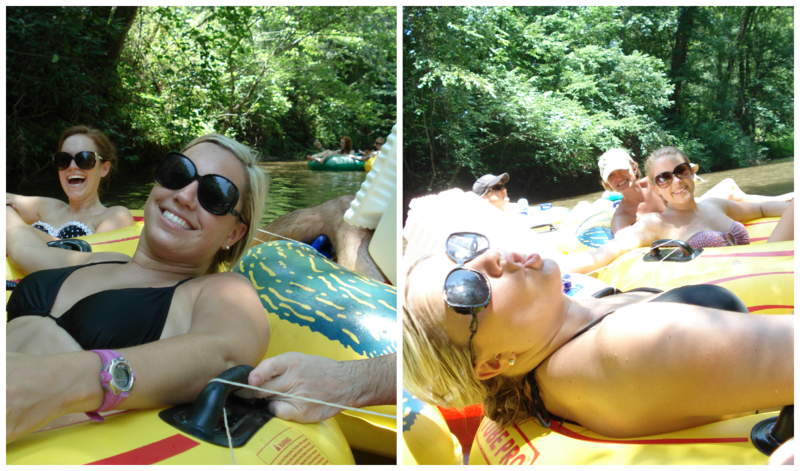 River tubing is so much fun! I haven't done this in a few years! I might have to this year! Looks like ya'll had a great time! I definitely want to do this when the Fiance and I come to NC in the summer time. It looks like so much fun! The Bud Light Lime-A-Ritas are my new favorite summer beverage! So fun! This looks awesome! Looks like a perfect way to spend a day. A bunch of people at work did this the other weekend! SO MUCH FUN!!!! The PERFECT summer weekend event! so fun! i've heard of this place, and its been ages since I've been tubing- I might have to plan a day for it! Oh my gosh… this sounds like the BEST time ever!! 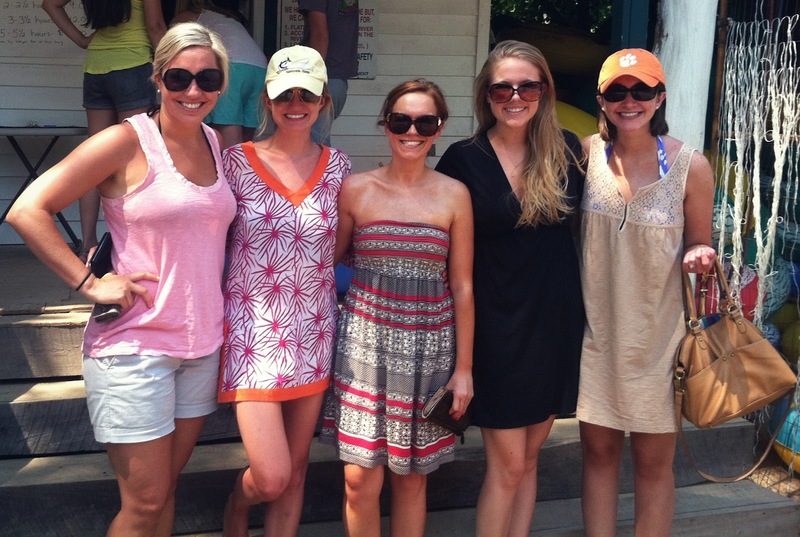 Hubs and I need to plan something like this with our friends! I love the fact that the cooler went down in a toddler tube. Great times. My fiancé and I are headed up to Saluda for the fourth! Found this place online and was a little sceptical of the "no alcoholic beverages" section on the website! I must know how did you sneak in your lime-a-ritas??? Did they just allow you to bring your cooler?? Shannon, email me and I will fill you in on all the deets! this sounds like a BLAST! we used to go tubing in college all the time! How fun does this look??? What a great idea! Ahhhhh for serz??? SO MUCH FUN!!! Totally jeally of this, I wanna go! omgggg this looks amazing!!!!! too much fun- seriously 🙂 nothing better than floating with a budlight 😉 glad you enjoyed, xxo! Wow, small world!! My friends and I have been going here every summer since senior year in high school. I love this place, it's a cheap way to have an amazing day floating down the river. Glad to see others enjoying it! !